If there are some useful information on some Webpage and you want to convert html to bmp format file, you can use the powerful application Document Printer which is consisted of two virtual printers inside. The two printers are docPrint PDF Driver and docPrint. The leading role in this article is the former one for its function of converting any printable documents to image formats (including PDF format). 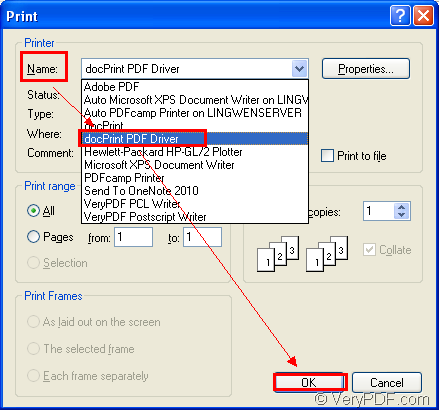 For the purpose of using docPrint PDF Driver, you just need to download Document Printer at http://www.verypdf.com/artprint/index.html#dl for free and install it on your computer. Then you will be able to see two newly added virtual printers in the printer list by clicking “Start”—“Printers and Faxes”. The conversion will be no more than two steps in total. You just need to print the HTML document to docPrint PDF Driver and then save html to bmp format file. That’s all and you don’t need to do any other things. Please open the HTML document with some kind of browser such as Chrome, IE, FireFox and so on. Or you can open a Webpage you want to print directly. 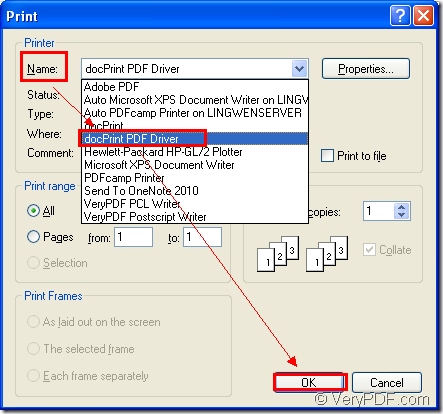 Please click “File”—“Print” or use the hot key “Ctrl”+ “P” to open the “Print” dialog box in which you are allowed to choose “docPrint PDF Driver” as current printer in “Name” combo box. Then please click on “OK” button. Please see the “Print” dialog box in Figure1. 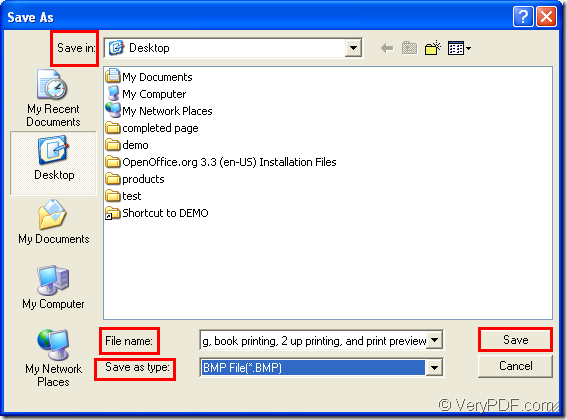 If docPrint PDF Driver is the default printer on your computer, you just need to right click the HTML document and click “Print” option for directly running the printer, which is considered as the most convenient way. 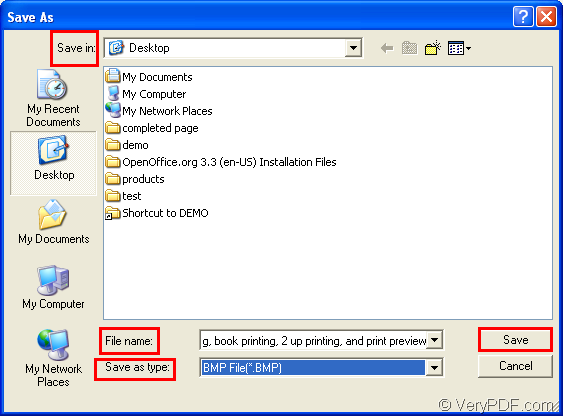 Then you will see the “Save As” dialog box pop up and you need to do the following operations for completing the conversion from html to bmp or webpage to bmp. Please see the “Save As” dialog box in Figure2. In “Save in” combo box, please choose the output location for the target file. In “File name” edit box, you need to input the name for the target file. In “Save as type” combo box, please select the right output format from various supported formats. Then please click “Save” button. This entry was posted in docPrint Pro and tagged html to bmp, webpage to bmp. Bookmark the permalink.